Our award winning sausages are hand made from scratch by our expert butchers to original recipes. We use the finest available meats and spices and only use natural casings. 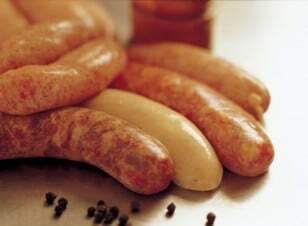 Most types are gluten free and we are happy to produce sausages for allergy and dietary requirements. We always have large variety of fresh sausages made daily and our menu varies seasonally. Varieties not on the seasonal menu may still be made but minimum batch quantities will apply.